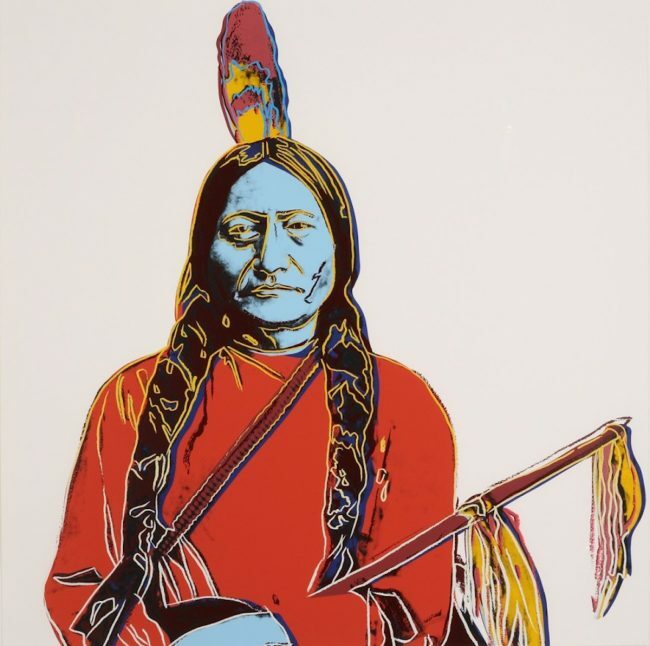 Sitting Bull (FS II.376) is part of Andy Warhol’s Cowboys and Indians series. The print is based on an archival photo of the Sioux Chief. His stoic pose and placid facial expression makes it seem that he is posing for a photograph, rather than an image of him in action hunting or in combat. The vivid coloring of Sitting Bull’s face and the light highlights that outline his shape give the traditional subject a modern twist.